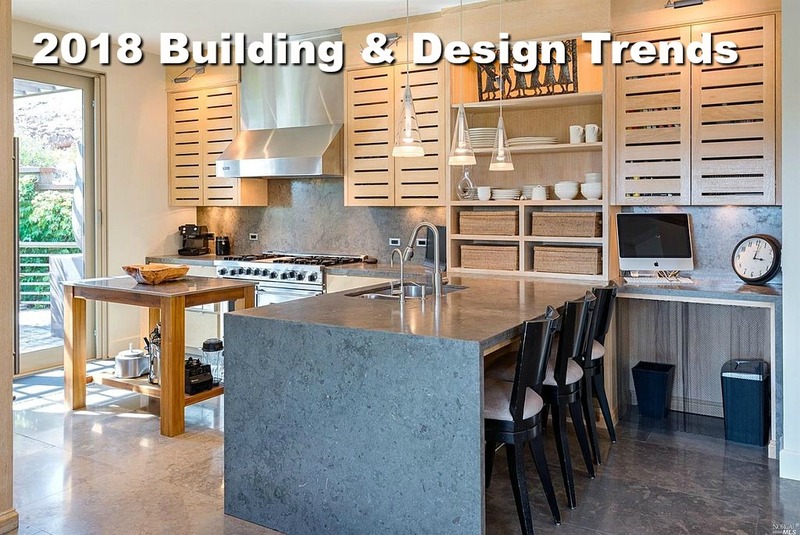 Trends do come and go and a rare one or two might become mainstays in building or in design. When it comes to trends & building a home, local ordinances and building codes dictate much. This is for the consumer’s protection. Design trends change more frequently and can cause confusion for homeowners. Do you do the sage green siding that is so popular now but might not be in 5 years? Do you stick with the light gray that you might find boring? Or do you go with the classic cedar shake? 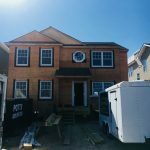 2018’s trend is a mix of different siding types and colors on the home. Mixing light and dark colors make your exterior bold and dynamic and highlight the architecture design of the home. Moving to the interior, design trends continue in the kitchen and bathrooms. 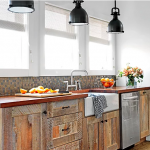 It seems all-white kitchens are waning and kitchens with some color or light wood is the trend. The warmth, texture, and the natural element of wood have an inviting feel. Trends are also going towards using multiple types of finishes (tile, marble, granite, wood, stainless steel) and contrasting colors for a truly unique look. Open shelving is becoming more popular to highlight your favorite kitchen pieces and add a personal design element. Bathrooms are another room that has gone through different trends. And depending on what bathroom, will depend on the trend. The emphasis of master bathrooms becoming spa-like or a retreat has been a trend with different finishes going in and out of style. Adding color, geometric or bold accessories can lift up a monochrome bathroom while adding live plants can bring an element of nature in. Natural stone, brass & gold fixtures, & bathroom lighting is the focus for 2018. Each year trends come and go but what is important is if you love the trend, if it fits who you are, who your family is and is it something that you can live with for a long time. Some trends are easy & inexpensive to fix like paint color, but siding is not as easy or inexpensive to change every few years. Your builder can guide you on materials but in the end you as the consumer needs to decide what you want in your home (and outside your home)!